Christmas is around the corner and up in the north there is lots of snow already. 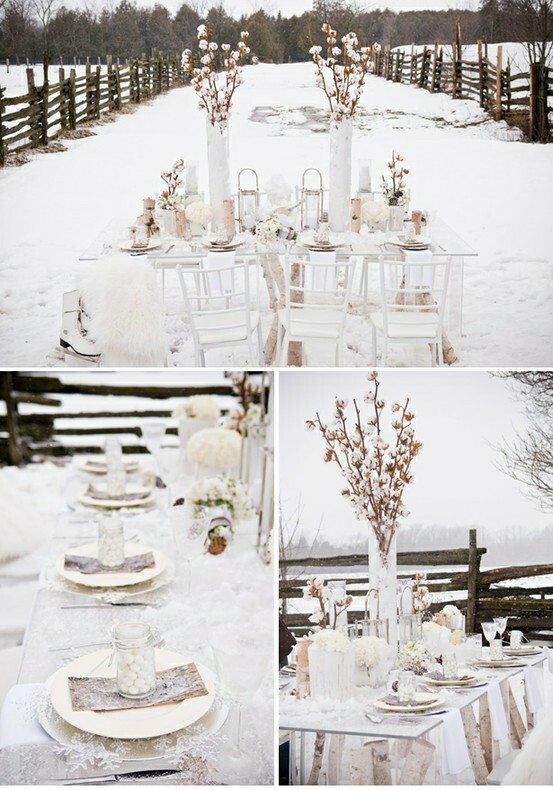 This post will be dedicated to the winter and I leave you with some lovely images I’ve spotted through Pinterest for winter wedding inspiration. We’ll be going on a short Christmas break after a busy and Successful wedding year with over 20 weddings completed and beautiful brides from Saudi Arabia to Norway! In the beginning of next year Absolutely Gorgeous BCN will also be operating from Stockholm/Sweden 🙂 We will be back in January with photos from weddings 2012 and more blog inspiration. I also want to take this opportunity to thank all the brides, collaborators, and of course all my readers for a great 2012, wish you a lovely Christmas and all the best for 2013! !